Assembled in Oakland, California, USA in July 1989, En Vogue launched with original members Cindy Herron, Maxine Jones, Dawn Robinson and Terry Ellis. En Vogue is a Grammy-nominated all-female R&B, club/dance, and soul vocal quartet assembled by the hit music producers Denzil Foster and Thomas McElroy, formerly of the disco group Club Nouveau. 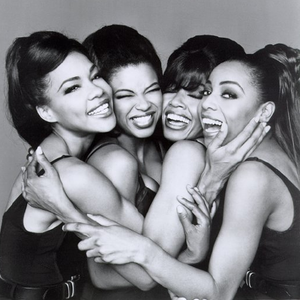 En Vogue has sold over 28 million albums and singles worldwide. They have won more MTV Video Music Awards than any other female group in MTV history, a total of 7 VMAs.